Speaking to USA Today's Susan Page in mid-May, Andrew Kohut, director of the nonpartisan Pew Research Center observed, "All presidential elections are first and foremost referendums on the times and the president's job performance." Bush strategists would like it to be otherwise, but since 1948 the four presidents who won second terms had approval ratings of 52% or better in the Gallup poll taken during May of the election year. The three who lost had approval ratings of 47% or lower. Bush's approval rating in the USA Today/CNN/Gallup Poll taken May 7-9 was 46%. "You've got to wait a few weeks to see whether it's stuck there or it's based on this horrible news, the pictures from Iraq," Charles Black, a strategist with ties to Bush's campaign told USA Today. The Bush campaign outlined steps it planned to improve their candidate's standing. In mid-May the Bush campaign began airing ads featuring Laura Bush talking about her husband's commitment to education. On the campaign trail, Bush refrained from talking about Kerry, Iraq, or anything negative. Instead he attempted to tout his health care record. "As people focus on [the economy, Bush's] ratings on the economy will get better," Black told USA Today. "In the long run, you have to bet that's the most important issue." An April report from the Bureau of Labor Statistics showed strong job growth, but in June less than half the predicted 250,000 jobs were created, prompting economists such as Bank of America's Peter E. Kretzmer to lower his his estimate of second-quarter gross domestic product to 3.2% (down from 4.2% forecast a few weeks ago). Sung Won Sohn, chief economist at Wells Fargo & Co., who viewed the jobs dip as a temporary cooling off, nonetheless described a new attitude among employers. "Businesses used to hire people in anticipation" of stronger sales," Sohn told the Wall Street Journal. "Now they hire if they have to, and they are willing to cut back quickly if demand falls off, as it seems to have in June." 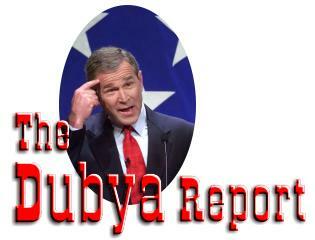 In the June 21 Gallup Poll Bush's approval rating was 48%. The Bush strategists' comments to USA Today in May came as administration and Pentagon officials testified before Congress about the abuse of prisoners at Abu Ghraib in Iraq. With support for the war in Iraq declining at home, according to recent polls, the administration hoped that the handoff of some measure of political authority to the interim Iraqi government would help put a positive spin on the war that has killed more than 850 members of the US military, and by some measures, more than 10,000 Iraqi civilians. Scheduled for months to take place on June 30th, a date that critics have suggested was determined more by planning for the Bush re-election campaign than the campaign to rebuild Iraq, the event was moved up two days because of security concerns. The administration sought to spin the schedule change as outmaneuvering insurgents who threatened the proceedings, but many observers saw what the New York Times' Bob Herbert called a "a furtive ritual" as an acknowledgment that, after a year of occupation, security in Baghdad is not yet under control. Contrary to the initial strategy, incoming Ambassador John Negroponte assumed his position within a few hours of the handoff ceremony, and began hiring his staff of about 1,000 for the largest US embassy in the world. "The handover of sovereignty and the trial of Saddam Hussein provide an opportunity to remind the American people there is some good news out of Iraq," Geoffrey Kemp, senior White House adviser on the Persian Gulf in the Nixon administration told the Associated Press. "I think this is being promoted by the administration and Jerry Bremer primarily with respect to domestic politics." In short, as Don Payne wrote earlier this week in the Boston Globe there's "Bad news everywhere Bush looks." The news is unlikely to change the views of most of the electorate, however, according to a June survey by the Pew Research Center. Pew's most recent survey, conducted June 3-13, found fewer undecided or swing voters than at this point in time in the previous three presidential elections. Still, the 21% of voters who are undecided or open to changing their mind represent the key to the election, according to observers. The Pew survey found that the swing voters were politically moderate, and, in contrast to committed voters, held largely positive views of both candidates (34%). Swing voters surveyed shared with the general electorate a positive view of Bush's handling of terrorism (57%), but were more likely to disapprove of Bush's handling of the economy and the war in Iraq. The ABC/Post poll An ABC News/Washington Post poll published on June 21 suggested a trend away from a notable discontinuity in public opinion, which has persisted for some time. Despite the Bush administration's representations that the war in Iraq was central to the war on terrorism, support for the war declined steadily but the public continued to approve of Bush's handling of terrorism. The ABC/Post poll found that Bush's perceived strength in handling terrorism had eroded from a 21 point advantage over Kerry in April, to a 13 point advantage in May, to a statistical tie (Kerry 48%, Bush 47%) in June. Paradoxically, respondents still thought Bush would "make the country safer and more secure" by a 14% margin. In a development that some observers viewed as at least as significant, and one that possibly suggested a unifying theme for the Kerry/Edwards campaign, the ABC/Post poll found that on issues of international affairs, prescription drugs, taxes, and health care, voters trusted Kerry to do a better job by margins of greater than 5%. On the issues of the budget deficit, the economy, and education, voters trusted Kerry by margins of 4 or 5 percent. Only on the question "Who do you trust to do a better job handling the situation in Iraq?" did voters select Bush, and then only by a 5% margin. Writing in the New York Times on June 30, commentator Nicholas Kristof asked, "So is President Bush a liar?" "Plenty of Americans think so," he wrote, but went on to argue "against the 'liar' label for two reasons. First, it further polarizes the political cesspool, and this polarization is making America increasingly difficult to govern. Second, insults and rage impede understanding." Kristof compared characterizing Bush as a " liar and a schemer" to the conservative demonization of Bill and Hillary Clinton. "[N]othing made conservatives look more petty and simple-minded...," he wrote. "Now Mr. Bush is doing the same to the left." Kristof concluded, "Mr. Bush got us into a mess by overdosing on moral clarity and self-righteousness, and embracing conspiracy theories of like-minded zealots. How sad that many liberals now seem intent on making the same mistakes." David Corn, whose whose The Lies Of George W. Bush was mentioned in Kristof's commentary, responded in the July 1 Nation. Corn noted that not everyone who has accused Bush of lying has also endorsed conspiracy theories. But he suggested that Kristof's objections were "tactical points ... unrelated to the basic issue: is the charge true?" Corn went on to argue that Kristof's position amounted to the assertion that "Truth, then, is no defense for the liberals, who should stick to subtle, nuanced, restrained pokes at Bush, even if he did, as Kristof admits, deceive the public. "I did not write the book to win over the 37 swing voters in Ohio that will decide the election," Corn continued. "My aim was to produce a straightforward examination of a pattern of deception that Kristof and many other recognize. Why not call a lie a lie?" "Are they lies -- or are they merely exaggerations, misleading statements, mistakes, rhetorical excesses and so on," linguist George Lakoff asked in an article for AlterNet last fall. "The most startling finding is that, in considering whether a statement is a lie, the least important consideration for most people is whether it is true," observed Lakoff, whose work on the language of political discourse we have cited previously in The Dubya Report "The falsehoods have been revealed," he wrote, "and they, in themselves, do not matter much to most people." ...[L]ying, in itself, is not and should not be the issue. The real issue is a betrayal of trust. Our democratic institutions require trust. When the president asks Congress to consent to war -- the most difficult moral judgment it can make -- Congress must be able to trust the information provided by the administration. When the President asks our fighting men and women to put their lives on the line for a reason, they must be able to trust that the reason he has given is true. It is a betrayal of trust for the president to ask our soldiers to risk their lives under false pretenses. And when the president asks the American people to put their sons and daughters in harm's way and to spend money that could be used for schools, for health care, for helping desperate people, for rebuilding decaying infrastructure, and for economic stimulation in hard times, it is a betrayal of trust for the president to give false impressions. "Betrayal of Trust" can function as a unifying theme in a progressive critique of actions and policies of the Bush administration. To ring true with voters, Lakoff has argued elsewhere, progressive political positions must be linked to progressive values. In contrast to Bush's campaign of fear, progressive candidates must offer an image of hope and happiness. Safety is a part of that. In not prioritizing safety, the Bush administration has betrayed our trust. "They're not really protecting us." The administration has failed to secure chemical plants, and underfunded first responders (police and firemen) and port security. In Iraq, they're not protecting us from weapons of mass destruction (WMD), because none have been found. They betrayed our trust by not coming clean about what the real motivations for the war were. Bush's initial dismissal of UN involvement, and his refusal to relinquish any control over the shaping of policies affecting postwar Iraq, have pointed to the real reasons for the war -- not a "not a selfless war of liberation," but a "war for the long-term US control of the Middle East and for the self-interest of American corporations." That view was underscored recently when, despite Bush's recent efforts, NATO leaders declined to deploy any troops to Iraq. The administration betrayed our trust by implying that the war in Iraq would punish and contain al Qaeda, the organization believed responsible for the attacks of September 11, 2001. Days after the independent commission investigating the 9/11 attacks reported in late June that there was "no credible evidence that Iraq and al Qaeda cooperated on attacks against the United States," Vice President Cheney referred to the operation of a camp in Kurdish-controlled northern Iraq as if it contradicted the commission findings. A report last year by the British House of Commons Foreign Affairs Committee concluded that the war in Iraq "might have enhanced the appeal of al-Qaeda to Muslims living in the Gulf region and elsewhere." Despite administration claims of "dramatic progress in the war on terror", the State Department's own report shows that deaths from terrorism increased over last year, and the number of wounded increased sharply. The US invasion of Iraq has created the nightmare Bush promised to prevent as religious fanatics team up with vestiges of Saddam Hussein's trained military to resist the occupation. Ahmed Hashim, a professor at the United States Naval War College who studies the Sunni insurgency in Iraq, told the New York Times "I think terrorism has come to Iraq as a result of the war." The administration has betrayed our trust by putting the interests of its supporters and contributors ahead of those of the public in making the environment less safe. In his 2003 State of the Union message Bush claimed that his "Clear Skies" initiative would cut air pollution by 70 percent, even though his own Environmental Protection Agency showed that the plan would result in more pollution than simply enforcing the Clean Air Act that was already on the books. Prosperity should be for everyone. The administration has betrayed our trust with policies that sound like they benefit everyone, but really only benefit the wealthy. Bush touted his first tax cut plan by saying "We will return $1,600 to the typical American family with two children." Yet, as the Citizens for Tax Justice calculated, 85% of families would receive no tax cut, or one less that $1,600. Meanwhile, people with annual incomes over $373,000 would receive an average tax cut of $46,000 each, or about 45% of the total tax cut. The CTJ estimated that Bush and his wife, Laura, would save about $100,000 a year. The administration has betrayed our trust by damaging our children's future. From education to the environment, to the federal budget, the Bush administration's rhetoric has sounded like one thing while the reality has proven quite different. Bush's education initiative, dubbed "No Child Left Behind" was advertised as an opportunity to ensure measurable progress in the education of our youth, and establish accountability for that progress or lack thereof. But, as we have noted elsewhere in The Dubya Report, the program was not funded at a level that enabled state and local governments to implement it, and some educators asserted that the curriculum changes required were not possible within the allotted timeframe. Moreover some aspects of the program proved meaningless in crowded urban public school environments, while others seemed illogical in rural settings. On the question of global warming, Bush had promised during the campaign to seek reductions in carbon dioxide emissions deficit. But in March 2001 under threat of political opposition from the Competitive Enterprise Institute (CEI), an organization that opposes government regulation of business, Bush backed away from his promise. He also declared his opposition to the 1997 Kyoto Protocol (signed by former president Clinton never ratified by the Senate) which called for industrialized nations to reduce certain harmful emission to pre-1990 levels. Bush claimed as the reason for his opposition "the incomplete state of scientific knowledge of the causes of, and solutions to, global climate change." Yet the thousands of scientists represented by the Intergovernmental Panel on Climate Change agreed that global temperature were increasing, and that a portion of the increase was caused by human-caused emissions. In his 2003 State of the Union message Bush claimed, "We will not deny, we will not ignore, we will not pass along our problems to other Congresses, to other presidents, and other generations." Yet with regard to the federal deficit, that is exactly what he will do. Yet, as the Economist noted in January of this year, "Lower taxes, higher spending: the outcome is that the federal government, despite a steep fall in the interest it pays on its debt, has swung sharply into deficit -- $450 billion this fiscal year...." This is the equivalent of about $4000 of debt for every family in the country. While this deficit is still not as large as that Ronald Reagan presided over, in the Reagan era there was motivation to do something about it (raise taxes); in the Economist's view such motivation is unlikely to be found today. Quoting Peter Orszag of the Brookings Institution, Allen Sinai of Decision Economics and Robert Rubin, the Economist warns that "'...substantial deficits projected far into the future can cause a fundamental shift in market expectations and a related loss of confidence both at home and abroad.' -- in other words, a full-blown, third-world-style financial crisis." "One thing is for certain, though, about me, and the world has learned this," Bush said at a press conference in April. "When I say something, I mean it. And the credibility of the United States is incredibly important for keeping world peace and freedom. Slate's William Saletan commented that "To Bush, credibility means that you keep saying today what you said yesterday...."
... [T]he American people need to know they got a president who sees the world the way it is. And I see dangers that exist, and it's important for us to deal with them. … The policy of this administration is ... to be realistic about the different threats that we face. "These are strange words to hear from a president whose prewar descriptions of Iraqi weapons programs are so starkly at odds with the postwar findings of his own inspectors," Saletan wrote. When asked during his Meet the Press by Tim Russert to explain the discrepancies Bush repeatedly referred to the need to see matters in "context." We've written elsewhere in The Dubya Report about the influence of philosopher Leo Strauss on Bush's circle of advisers. Bush's assertion that the interpretation of his decisions required consideration of "context" may be a kind of cowboy-poet Straussianism. But to the swing voter in battleground states in the election of 2004 his actions may well be seen as a simple betrayal of trust. "Report: Iraq war may have drawn recruits to al-Qaeda" Associated Press. 31 Jul. 2003. See also The Lies of George W. Bush, by David Corn, and Worse than Watergate by John Dean, and Dan Conley's compilation of "public/private scandals bubbling under this White House."